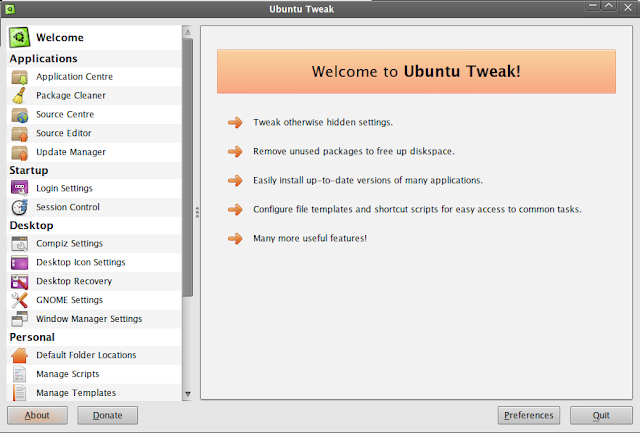 Ubuntu Tweak is an application to configure Ubuntu the easy way. Here is a screenshot of the welcome screen. As you can see the screen contains five headings under which the tweaks can be done. A few things I like are, (a) under Applications you have the source editor, where you can edit the sources.list directly, (b) under Startup you have Login Settings where you can change the login theme. It is just a breeze using this app. 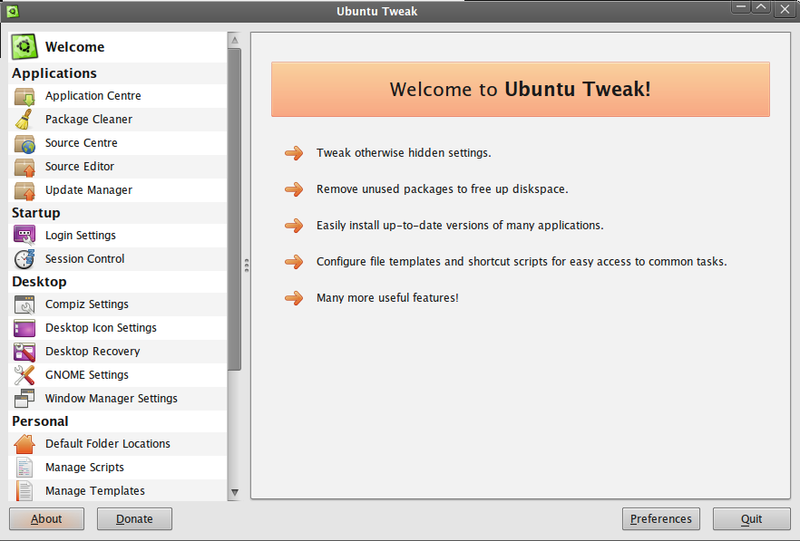 Overall, I would save Ubuntu Tweak is a very nifty application and I would recommend it to everyone.